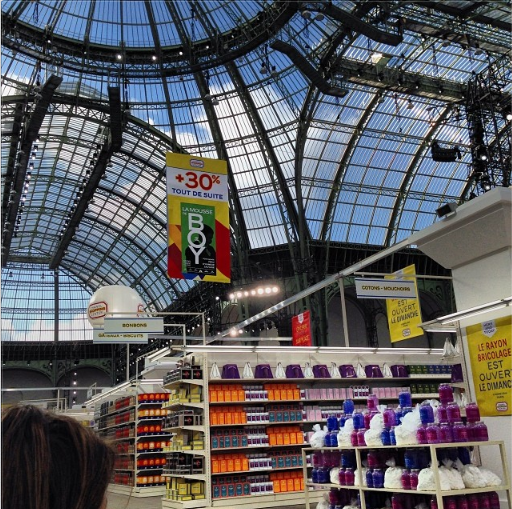 Fashion week is still going on and we are in the last days of the Autumn Winter couture 2014. 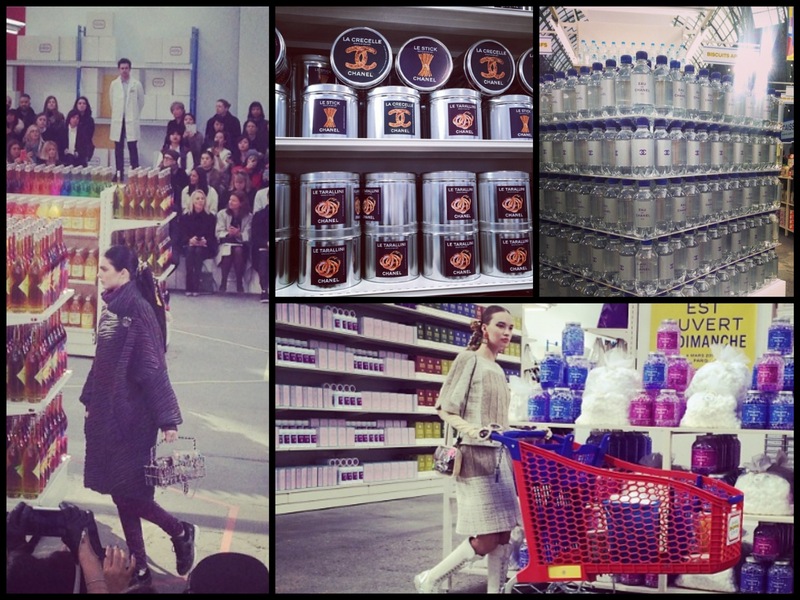 One show that absolutely caught my eyes was the Chanel fashion show not just because of the amazing clothing , but at Chanel its never just a simple runway so this year they have created a Chanel Supermarket fully stocked with not just food, but Chanel food =0. 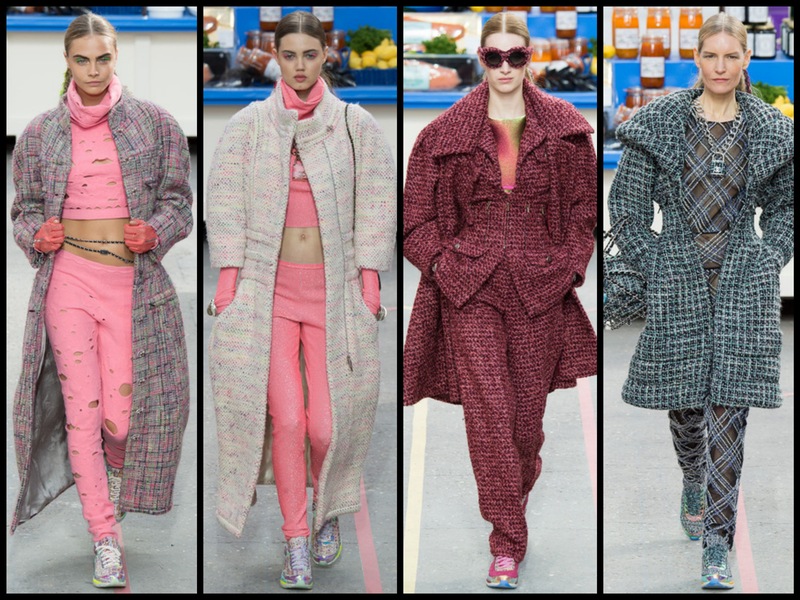 The clothes, especially the shoes, were made with all the craftsmanship and luxuriousness that Chanel represents, the show included classic cocoon tweeds and a palette of pink, purple, turquoise and yellow. 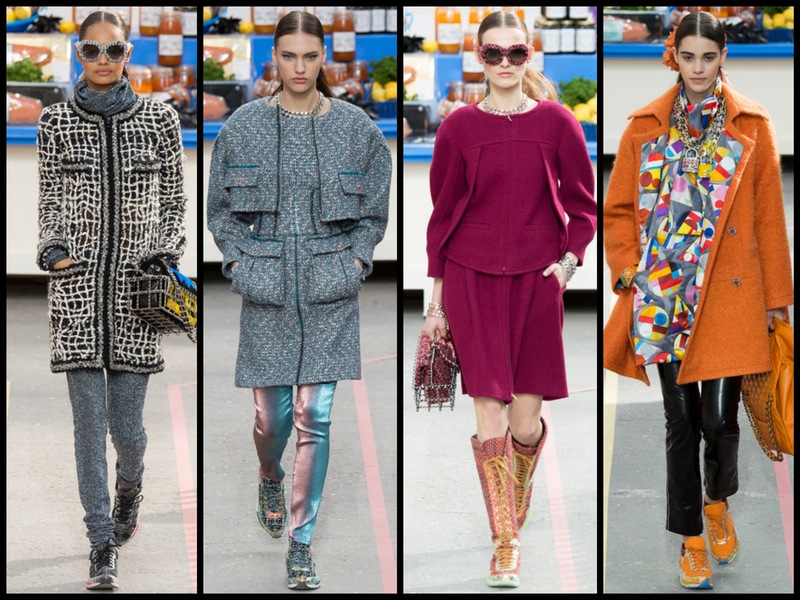 It was urban-street-cool vibe with a contemporary take on iconic Chanel look; the flecked, tailored tweeds, the oversized sunglasses, the pearls, the boxy chain handbags. They wear metallic, they bare their midriff, they’re all about the crazy-colourways and fingerless gloves that mr Karl Largerfeld has become notorious for. WHAT ARE YOUR THOUGHTS ON THE WHOLE COLLECTION?